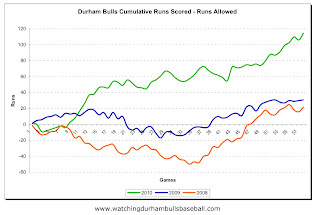 Watching Durham Bulls Baseball: Runs! 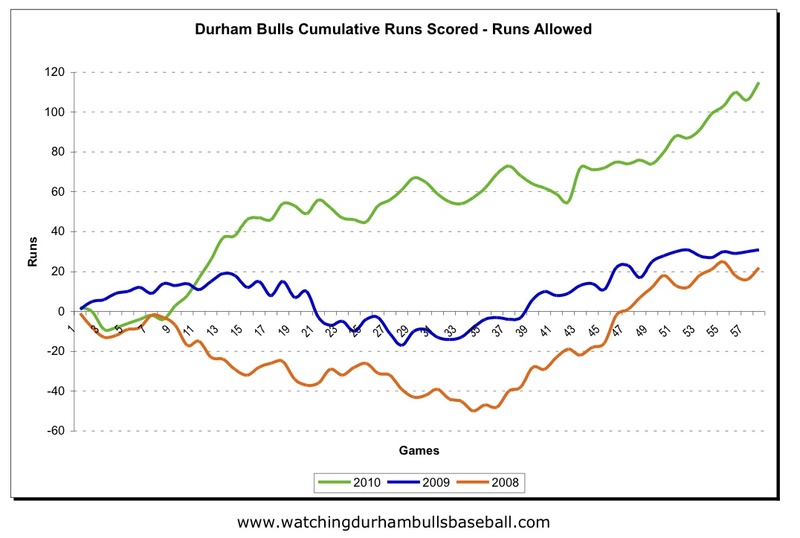 Just had to put this beautiful chart up that shows the remarkable run production (and run prevention) of the Bulls so far this year. We have outscored our opponents 331 to 216, for a difference of 115 runs. That certainly helps explain our 34 and 24 record. What about those guys down on the Bay awaiting the arrival of BP’s surprise summer gift? Not bad. 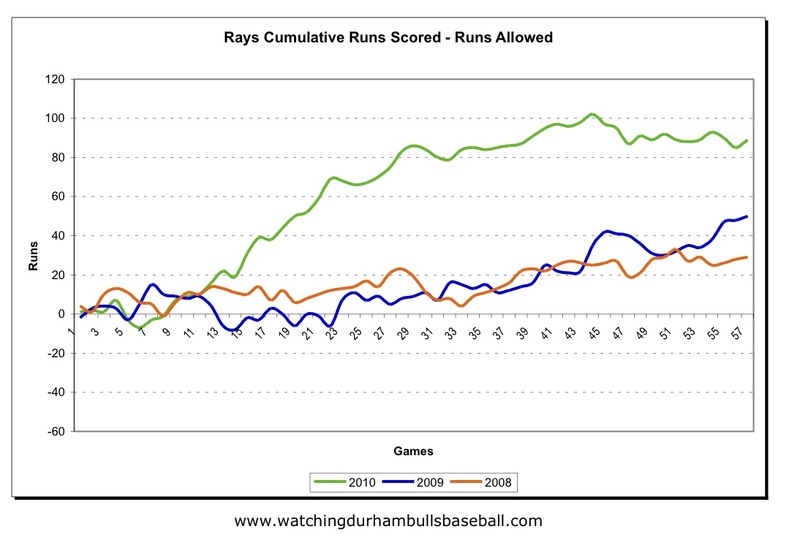 They’ve outscored their opponents 296 to 207 for a difference of 89 runs. You can see that that the pace has leveled out some in recent days. Nevertheless, they are 37 and 20 for a not too bad record. You will also notice that they have only played 57 games even though they started the season earlier than the Bulls. Why is that? 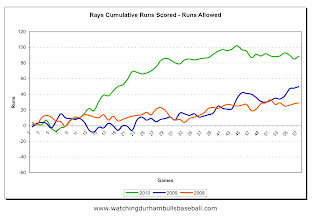 Well, players in Triple A ball simply work harder than the millionaires in the majors. I had been thinking that our pitching, except for Hellickson, wasn't all that good; your chart shows that's not the case. Thanks.